Crazy isn’t it, how two simple words can be the hardest ones to say. Maybe it is the implication of these words, the inference behind them which makes it so difficult. For men, and I feel pretty confident speaking for men having been one my entire life, the phrase I’m sorry is an admission of guilt, of culpability. This puts one in an immediate position of supplication. Guilt requires payment, retribution unless the wronged party is gracious enough to require none, and this amount of grace is rare indeed. So as a man, when you utter “I’m Sorry”, you instantly place yourself in a position of vulnerability. This is something which we are either culturally, or genetically inclined to avoid. And some of us will do so at risk or peril of death. Women on the other hand, as far as I can surmise see “I am sorry”, as not so much of an admittance of guilt, but as of shared responsibility, an empathetic response to a situation. There is no desire to demean or expect retribution by expecting this simple utterance. It seems to make them feel better because both parties are now on the same page when it comes to the action or occurrence which necessitated the apology. It shows that the other party is not only aware of the situation, but also deeply affected by it. Not punitively based, but emotionally based. This is what I have surmised from an outside observer looking in. This is by no means all inclusive, and many men, and women not only deviate from this, but break the mold entirely. Now you are probably asking yourself, why the hell are you saying this Jim-Bo? It is just to put it out there for discussion and comments. As I have seen, now you can see. Am I right, or so far off the mark that I can’t even see it from my current partition? And if I am correct, so what? I guess so that we can all be speaking the same language, our at least having similar expectations. Sorry, does not always impute gilt and subsequent punishment. It can sometimes, just be the words someone needs to hear to let them know that you too, feel sorry over how things transpired, and wish that things could have gone differently. 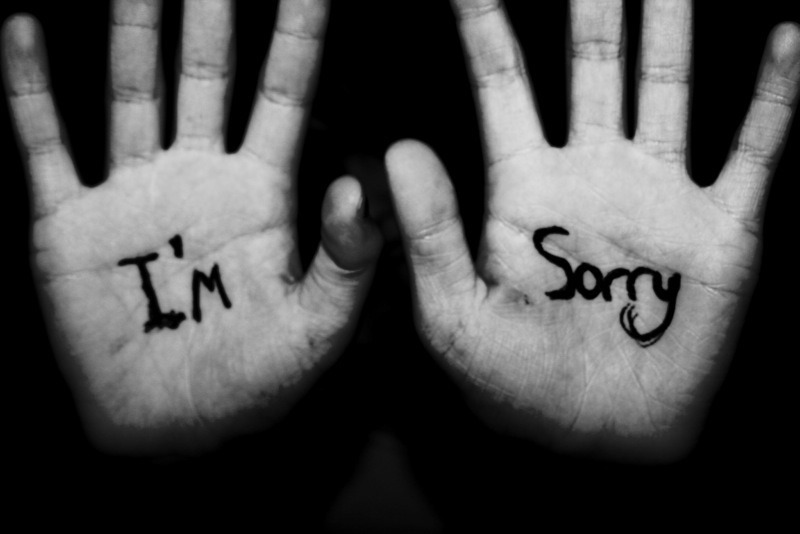 Sorry, can heal a heart at times, and right a wrong at others. For myself, I need to stop thinking like a guy at times and try to use my heart, instead of my head. My head sees I’m sorry as a precursor to justice being served, her heart sees I’m sorry as a bridge across an emotional chasm that no other phrase could even begin to cross. I’m sorry, such a strange, misunderstood, multifaceted phrase that I believe we all need to say a lot more. Previous PostWhat’s it all for, really?